We were sailing to a distant land. It wasn't much off the course but it was me first time in these parts of the sea. The ship's ol' sodium lamps provided a romantic ambiance on the night deck which made me reminisce about good times past. The warm autumn winds suddenly picked up pace. The crew looked upbeat as an adventurous tune began to play in the background. Aye, I never regretted recruiting the musician in me crew. We spotted land as the men camped the starboard side rails. 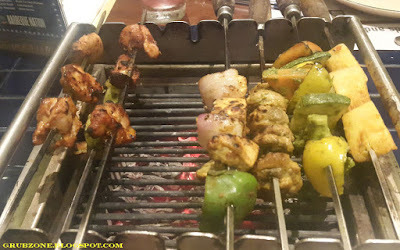 We approached our destination which was a small nation in itself, Barbeque Nation. A land of Barbeque and Tandoori. A place of Kebabs and Kulfis. A tale of an evening much mesmerizing. Life had been quite busy for me as a Food writer since my first trip to BBQ Nation last year. I could not get the time to try their other outlets until today. 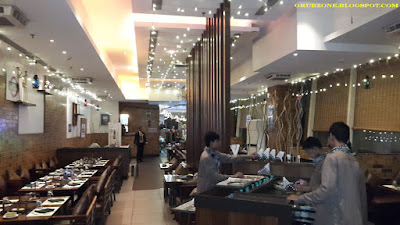 Barbeque Nation at Atria is a much larger restaurant when compared to my Marol Experience. Its perhaps the only island (or a nation if you will) of fun in the otherwise stark Atria mall. The restaurant appeared to be in a festive get up. The air was cheery and the mood felt like a great celebration. Mohammad Ali Road area in Mumbai is famous for its Ramadan treats. But this period only comes once a year. What happens if you miss it? How do you get some of that awesomeness later in the year? 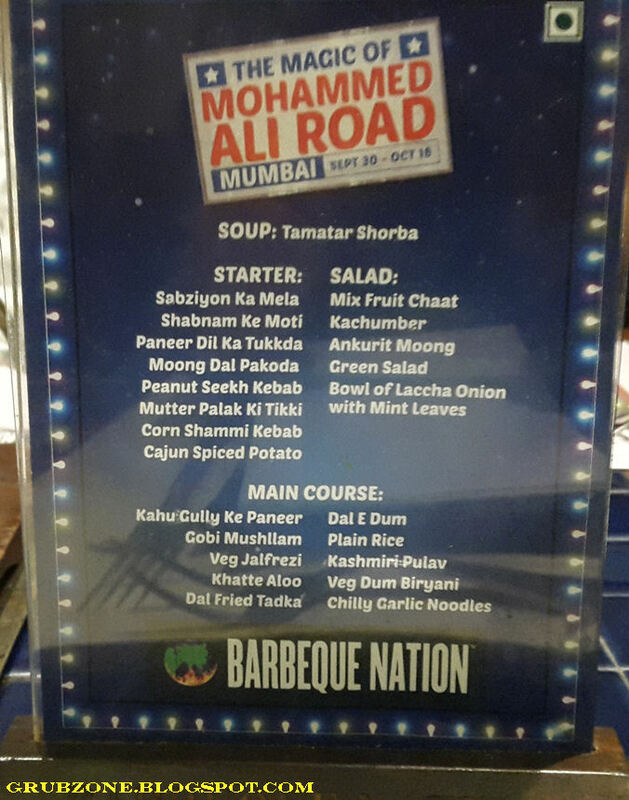 BBQ Nation attempts to recreate the magic of Mohammad Ali road with its own festival by the same name. While it obviously does not clone the same atmosphere and variety, it does give one a more than worthy consolation prize for missing out the original thing sans the crowd and pollution. Sit in the comfort of the restaurant's fine dining premises. Savor in the aromas, the festive ambiances and the enjoy seeing the staff who are dressed for the occasion. If you are fortunate, they may even put a song and dance performance into the night. I was part of a motley bunch of bloggers and food journalists which had been invited to a special event to sample the Mohammad Ali Road fest menu. I loved my table as it was full of friendly and affable fellas who I had a nice dinner chat with. The fun part about the event was a good selection of vegetarian dishes which tantalized the vegetarian folks on the table. 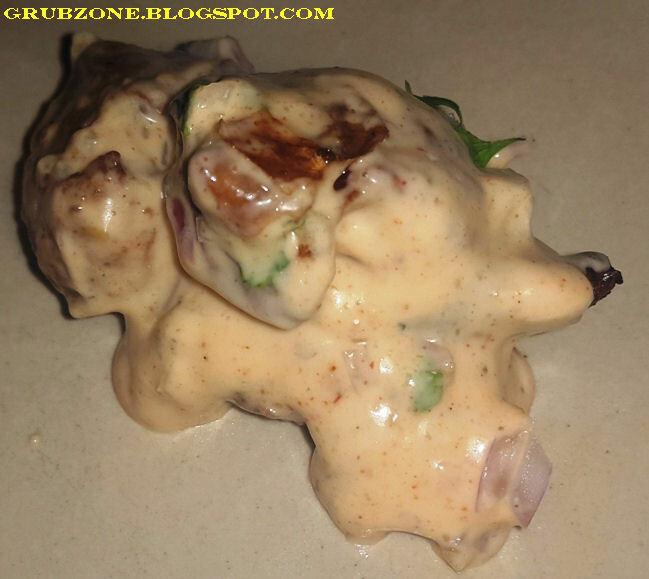 One usually does not expect a Barbecue Diner to gratify the fine dining wishes of the green folks but BBQ Nation went through arduous trials to come up with an all green menu. As someone who pilfered kebabs from both platters, I positively affirm that Barbecue Nation put on a great show. The evening started with house invented virgin cocktails. Hawa Kela was a mixture of Banana and Coconut. 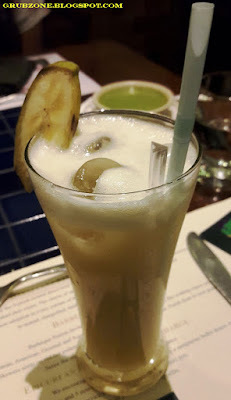 The flavor would feel very much like a banana smoothie initially but as the sip went down the throat, it had a sweet coconut undertone. This secondary flavor compared to the "Nice" Coconut biscuits I had a child or Bounty Chocolates. Masaledar Tarbooz despite its naming and appearance, this had a dominant flavor of a fragrant lime. 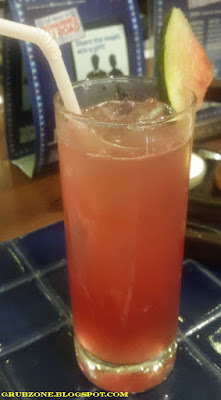 The spicy watermelon came as an after taste when the lime vanished. 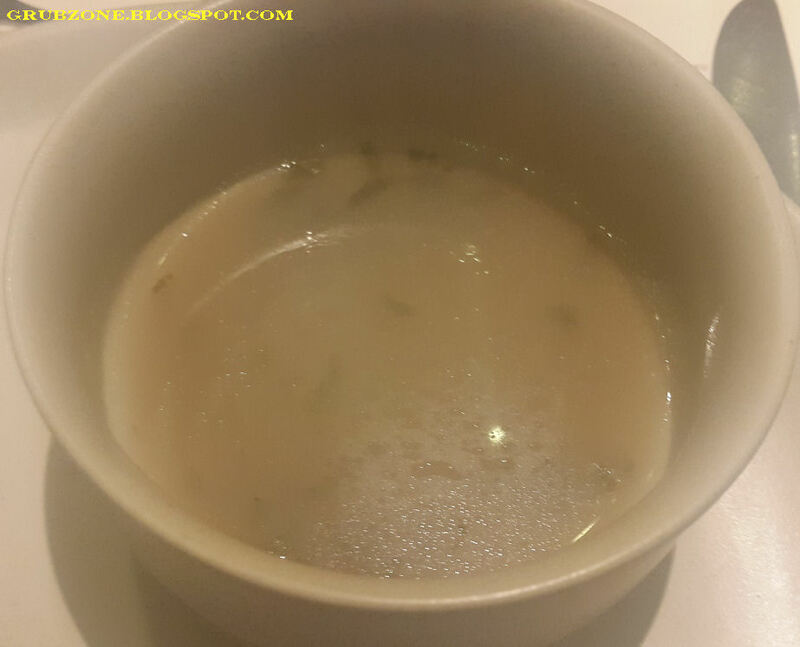 Paya Shorba was a clear Lamb flavored soup. As with all genuine Shorbas, this had no meat in it. While this works as part of the theme, I am personally not a big fan of clear shorbas. Even the flavor of lamb was subtle with most of the flavor coming from the salt. As with all BBQ Nation outlets, their appetizers were stellar. 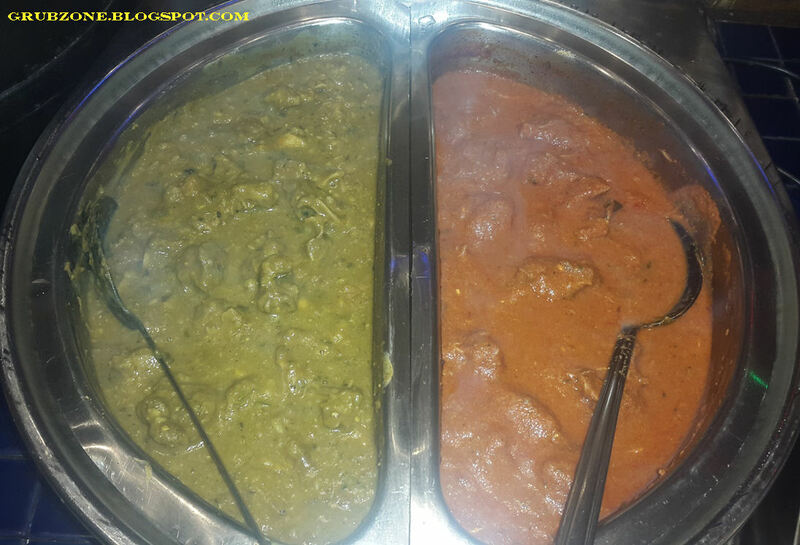 Greens on the Right, Reds on the left. As per BBQ Nation's tradition, we were served our skewers on a live charcoal grill. I love this bit about BBQ Nation since it gives me a yard BBQ or picnic BBQ feel. 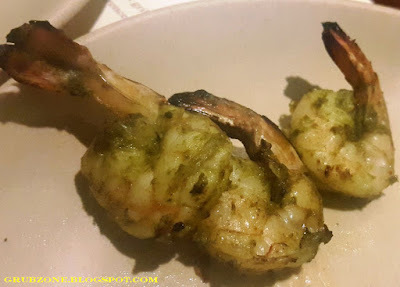 Chutney Jhinga was a shrimp skewer with a batter consisting of rich chutney. It was one of the best seafood kebabs I have ever had. 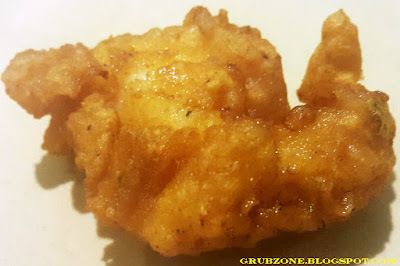 The batter was full of flavor and the shrimps were crunchy. 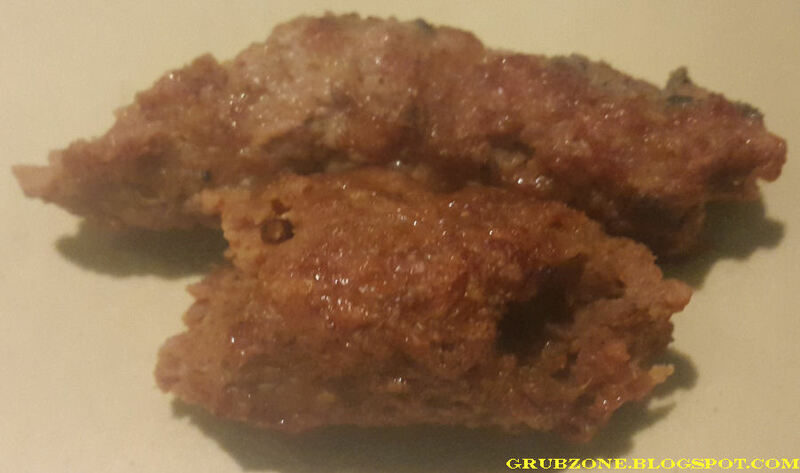 Mutton Seekh Kebabs were made of minced Mutton and tasted great. Though these could have been larger than the bite sized delights that these were. Chicken Tikka was a juicy Chicken nugget but lacked the distinct tikka flavor. 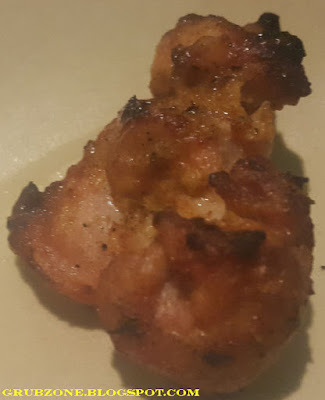 This is not to say that it was a bad kebab, just that it didn't feel Tikka enough to me. 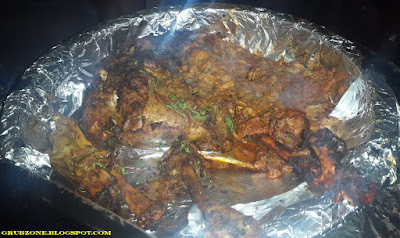 Tandoori Tangdi was a juicy leg of meat. While I won't say that the meat came off the bone easily, the flavor was quite amazing. I took the effort to clean the meat off the bone. The spices, flavor and a mild bit of tang completed a tasteful alchemy. Captain : A True man of the sea enjoys his drumsticks. Crewmate : A nice Captain shares his grub with his mates. Captain : Be happy with your drumsticks lad. Taltali Fish was a fried fish kebab that felt a bit insipid. Tandoori cuisine is so full of vibrant flavors that a fish like Basa makes a poor choice for a fish Kebab. I felt that sea fish would have worked better in this kebab than Fresh water fish. The natural saltiness and sea aroma would definitely have had more bang. 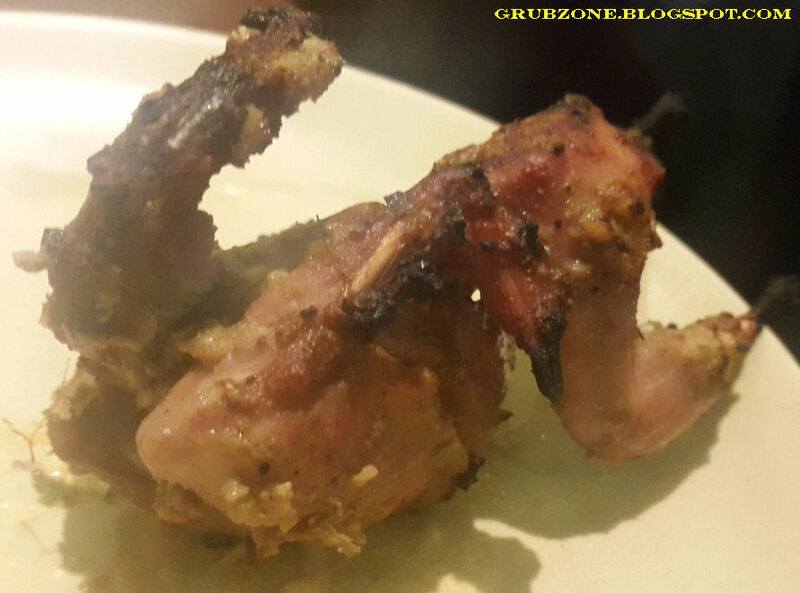 Bhatti Ka Bater was my first encounter with Quail. The masterchefs and other fine dining shows have made me well aware of this meat in western cuisines but I had largely remained unaware of Bater(Quail) in Mughlai cooking. BBQ Nation introduced me to quail and the meat was tender with the flavor being spicy and potent. Definitely one of the highlights of the special menu. Cajun Spiced potato felt a bit off. The Tang from Cajun is remarkably different from the flavor in this item. It felt a bit yoghurty and my friend and fellow food blogger Ritika put the most apt comparison for it - It tasted a bit like Dahi Wada. 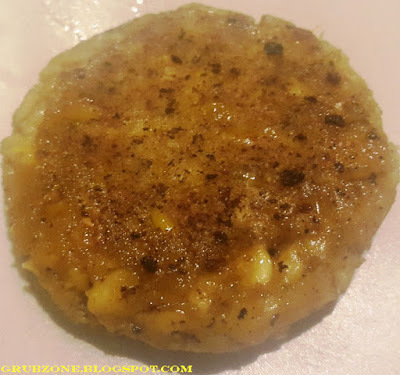 Corn Shammi Kebabs were tasty vegetarian delights full of corn, ginger and spice. Despite being flavorful, these had but one problem, that is being placed together with the Mutter Palak Ki Tikki. Read on to find out why. 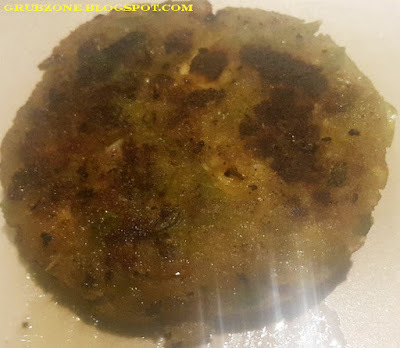 Mutter Palak Ki Tikki was perhaps the best kebab in the vegetarian set. Made of Spinach and pea mince, these were also pumped with a bit of cheese. The bite was full of flavors and the addicting undertones of cheese. The mains were decent in comparison to my previous BBQ Nation experience. 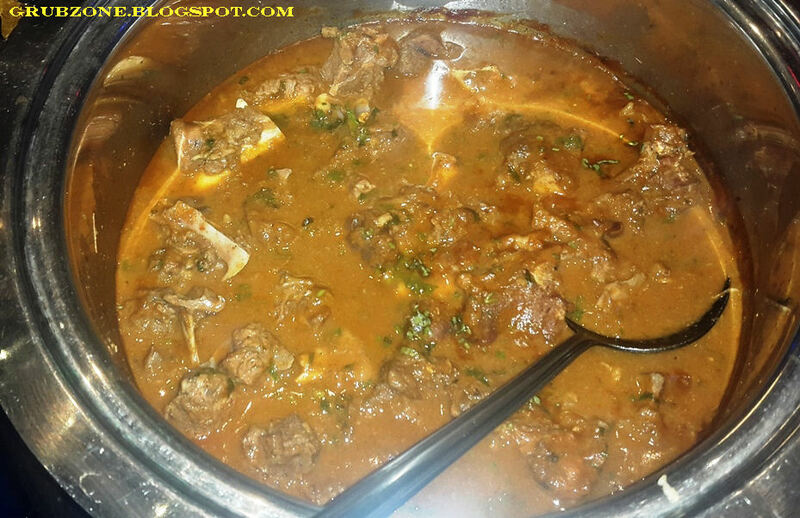 Nihari Gosht - What Mohammad Ali Road festival would ever be complete without this? This meat stew is often cooked with bone marrow and as a result it has a distinct flavor and aroma. 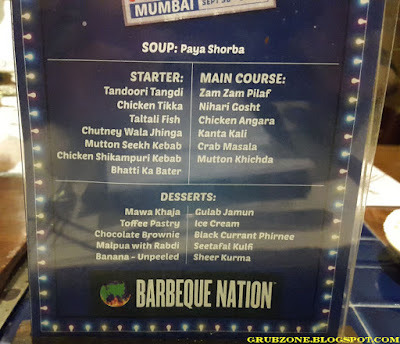 BBQ Nations version was a flavorsome curry with a trance inducing aroma. The meat was well cooked and the gravy was quite delightful as well. Mutton Raan was not part of the festival menu but a special mention needs to be made for this. This was by far the best lamb dish of the evening. The spicy and savory flavor complemented some tender (falling off the bone) meat. Each bite unleashed a torrent of wild flavors on the taste buds. The Aroma was divine as well. It somehow reminded me of the Old Delhi street style of cooking. I had so far never experienced it in Mumbai. Captain : Long long ago, in a place far far away. Crewmate : Whats this ? Episode 7 The Food awakens? Captain : I had food that felt just like this. 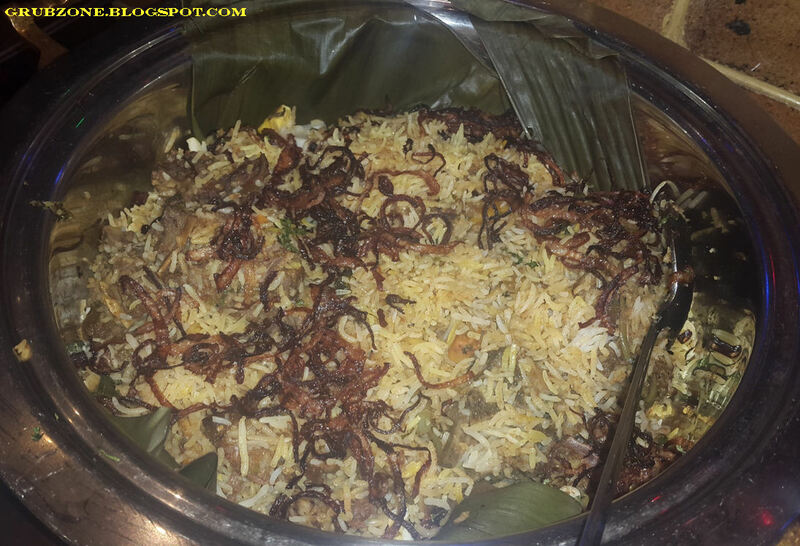 Mutton Khichda is a green colored Hyderabad mutton preparation that uses lentils. The flavor was quite strong and tasteful but this dish had way too many bones for my comfort. 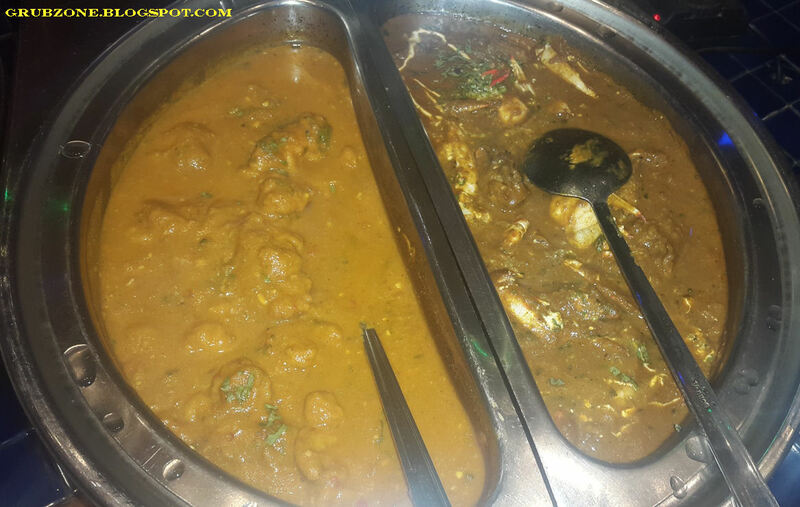 Chicken Angara(Right side in picture) is a dish that symbolizes the delicacies usually found during Ramadan. Its a spicy dish that is slowly cooked over charcoal. The flavor here was spicy, salty and savory. Imagine walking through a street with tandoor stalls at both sides. That typical aroma that tantalizes one's olfactory senses while walking through this lane is literally converted into flavor you can eat in this dish. It has a smoky, street side rustic feel to it. Captain : I feel like I am dining with the Mughal Emperors with this one. Crewmate : I feel like I am a Mughal Emperor when eating this. Captain : A Mughal Emperor to sweep my decks next week, ha that's something. A bit of seafood mains here. I skipped the Crab on the right side as it appeared too messy to crack open. The Kanta Kali on the left was a tandoori Basa preparation which had excellent gravy but the Basa felt like a bad partner which retained its gooey flat flavor. Zam Zam Pilaf had a strange name. I am not aware if Pilafs are served in traditional Mohammad Ali celebrations and I am pretty sure that we prefer Pulao over Pilaf in term usage in India. Nevertheless, the rice in this one was full of aroma and spices. In my opinion, it was closer to a biryani than a Pilaf. It had lamb chunks in it, although I prefer my pilafs/Biryani to be boneless - tradition or not. The rice seemed to pair well with the Nihari Gosht. I'd suggest the two being eaten together. BBQ Nation has a large Dessert platter which offered as many as nine different desserts. 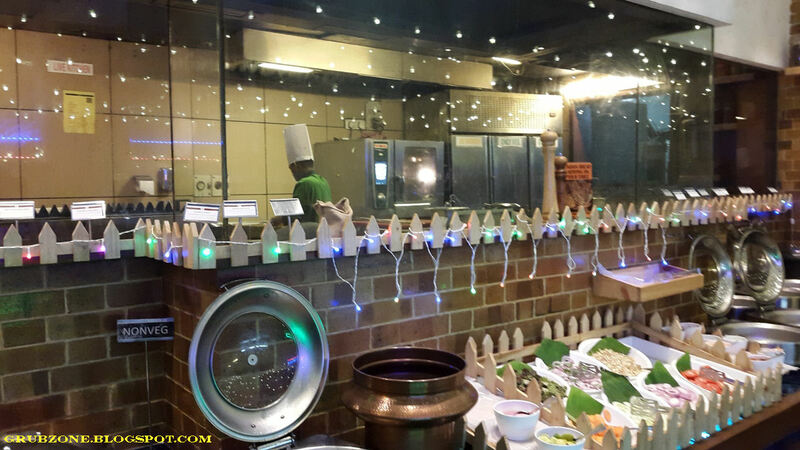 Additionally they also offer Kulfis which are made in a live counter. The Black Currant Phirni was an interesting concoction. Apparently made after hard labor and extensive reworks by the chef, this was a great result of bold creativity. 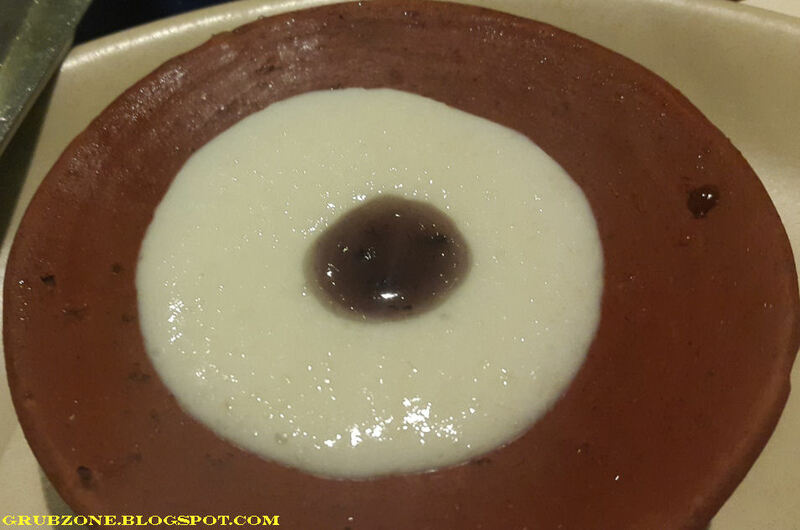 The Black currants supplied a subtle flavor in the phirni. It was married properly and did not feel like a simple mixture of currants and phirni. The Fudge Brownie was a sweet sinful delight. It definitely leaned more on the fudge side than on the brownie side. That worked for me since I do prefer fudge over brownies. Toffee Pastry felt like a run of the mill pastry with some toffee sauce on it. 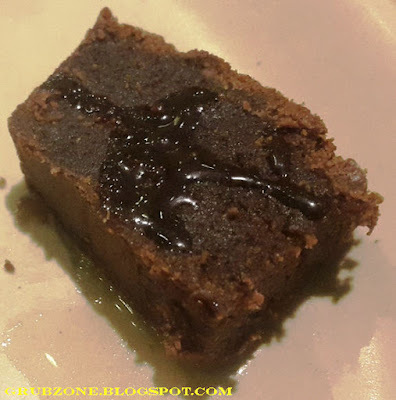 It lacked flavor and clearly paled in front of BBQ Nations better desserts. 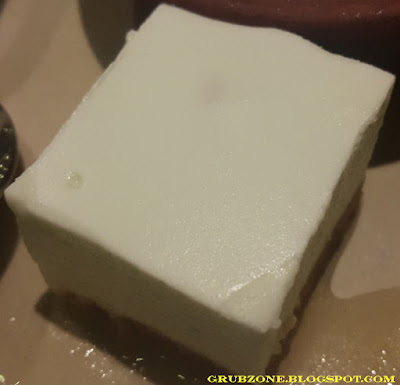 Billed as Kiwi Cheesecake and resembling a big slab of Paneer, this was an interesting dessert. 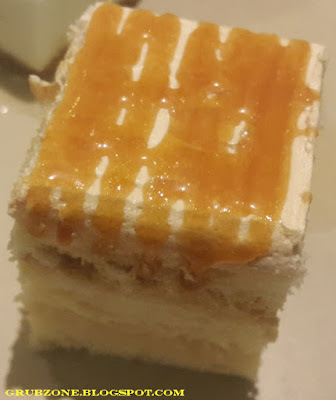 It was no baked cheesecake for sure but was a very good Kiwi flavored Cream cake or a no Bake cold Cheesecake. 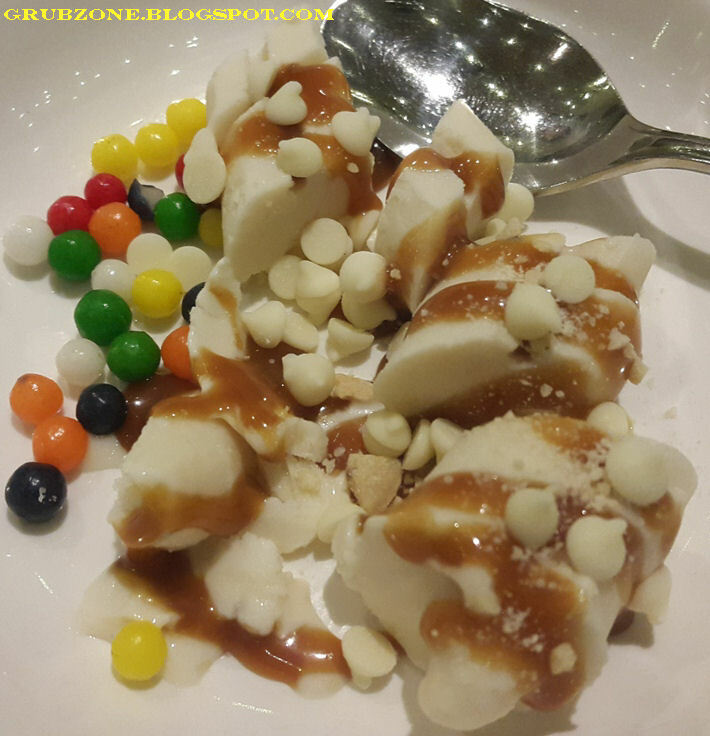 Captain : Legend has it that a funny whimsical fella accidentally created this mixture. Crewmate : Isn't that how some of the best foods got discovered Captain? Captain : A serendipity of some sorts eh lad? Crewmate: I wonder who that fella is. The pricing at 800 INR per person could feel a bit on the higher side. But considering the fact that its a buffet with unlimited grub and desserts at your disposal, I think it actually balances out. In fact if you are a hearty mate like me, then this is quite a steal of a deal. The service was interesting. Yes you read that right, 'Interesting' - the servers were polite, professional and they even put up a little dance show in the late evening. Their dress code and scarves look very much like traditional Iftar attire. To wrap this up, I'd say they actually infuse three elements into their festivities - Service, Food and decor. BBQ Nations Mohammad Ali Road festival is a fun stop for gourmands and adventurers alike. 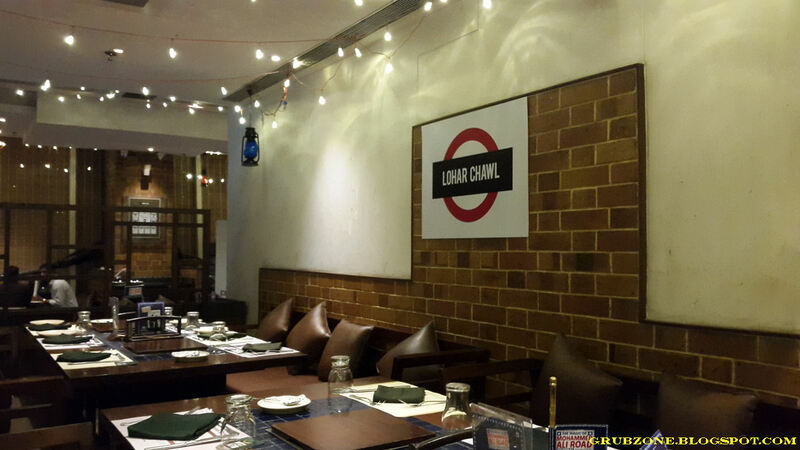 Be here for the food, the feel and the festivities. This festival ends on October 18, 2015. "A fine nation tis' be. For now we leave but who knows when the winds will blow us again to these shores."